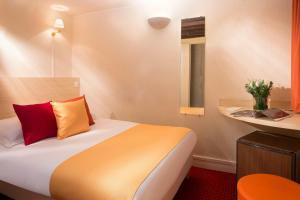 Set in the very centre of Paris, this hotel is just a 5-minute walk from the Louvre Museum and its Tuileries Gardens. It offers a 24-hour reception, free Wi-Fi and air conditioning. 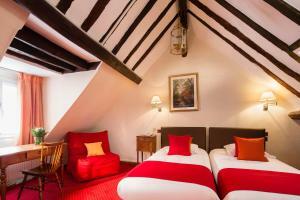 The rooms at Hôtel Saint Roch are decorated in a classic style and include an LCD TV with satellite channels. 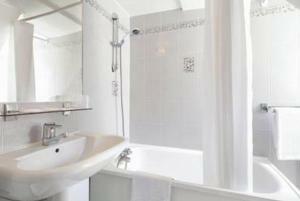 Each one provides an en suite bathroom, while some also feature original wooden beams. A continental breakfast is served every morning, which can also be enjoyed in the comfort of guest rooms. Luggage storage and newspapers are also provided at the hotel. Tuileries Metro Station is 350 metres from the property and offers direct links to both La Défense business district and the Champs Elysées. The chic Place Vendôme is a 10-minute walk away. 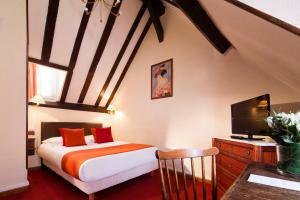 Decorated in a classic style, the rooms provide an LCD TV with satellite channels. Some rooms also feature original wooden beams. This single room has air conditioning, minibar and soundproofing. 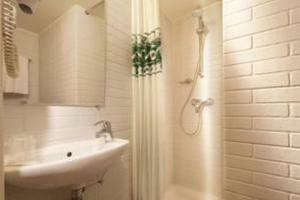 Rate: € 125.00 ... € 167.00; select dates below to get current rates.